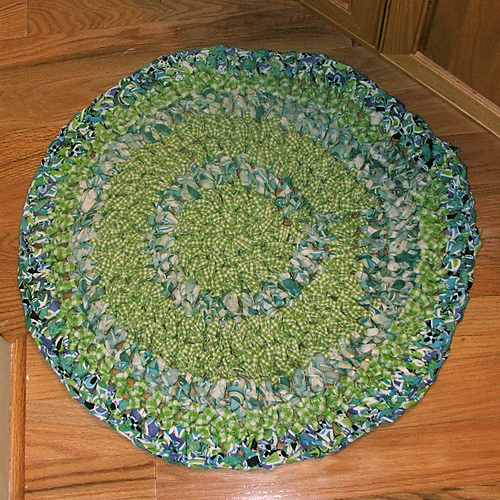 I finished that rag-rug I was working on, it came out to be about 24 inches wide. Now I making one for our little guys bathroom in red & white to match his Dr. Seuss theme he has going on in there! I never did get around to making that tutorial video either, but I did come across these fabulous blogs that will help you (if you are so inclined) in making a rag rug for yourself! 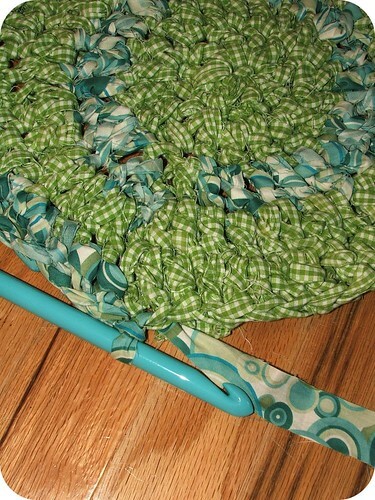 Moda Bake Shop - How to make a braided rag rug - super easy! 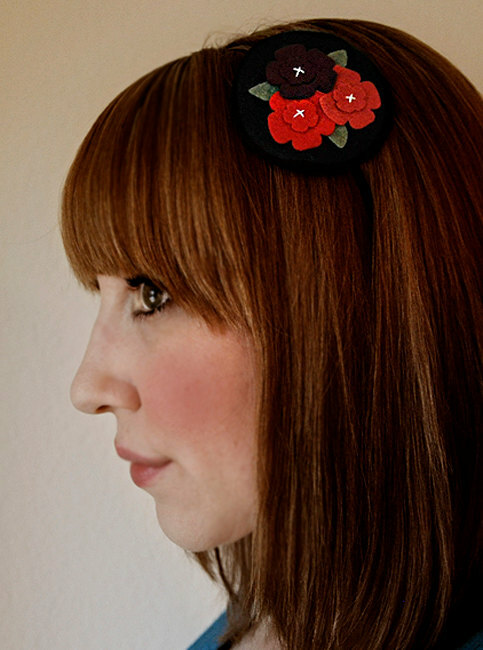 Craft Stylish - A fabulous blog & post on how to crochet (or knit) with fabric! Here is my rough pattern, ymmv! 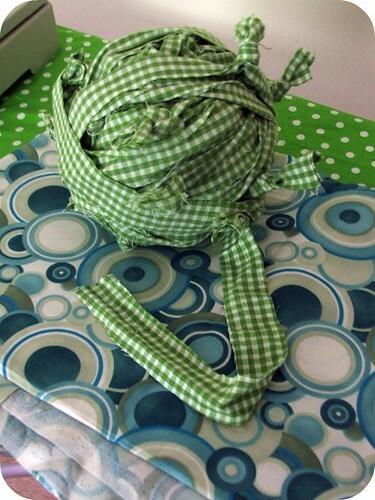 I used a Boye size Q 15.75mm hook and my fabric strips were about one inch wide. If you want a bigger rug, repeat rounds 3-7 until you gt your desired size, always end your rug with a single row of dc/hdc/sc (or any decorative stitch) all around. I've known about Ravelry for some time now, but never joined. Why didn't you twist my arm and make me join? Now I'm super addicted, what a great community. I'm neesypea over there too, so add me ok? 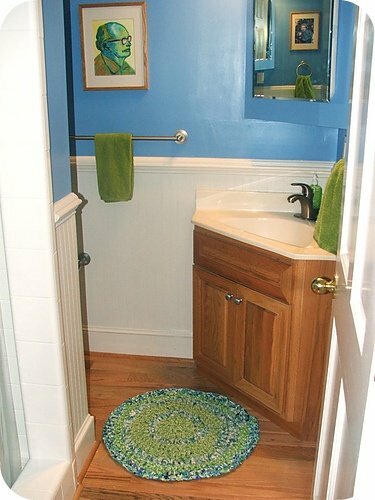 It's for my downstairs bathroom, which is painted a deep sky blue (the people who lived here before us, painted it that color), and I added apple green as an accent color. I keep running out of fabric though. It took a lot more fabric strips than expected, but I'm determined to only use what I have, so we'll see how it turns out! I'm working on a rag-rug crochet pattern and video on how to prepare your fabric strips, to share with all y'all as well! Stay tuned! !